There are a couple of new Star Wars Valentine’s Day phone cases at the Star Wars Launch Bay in Disney’s Hollywood Studios. The phone cases feature a play on words for your Valentine and are part of the D-Tech OnDemand system. 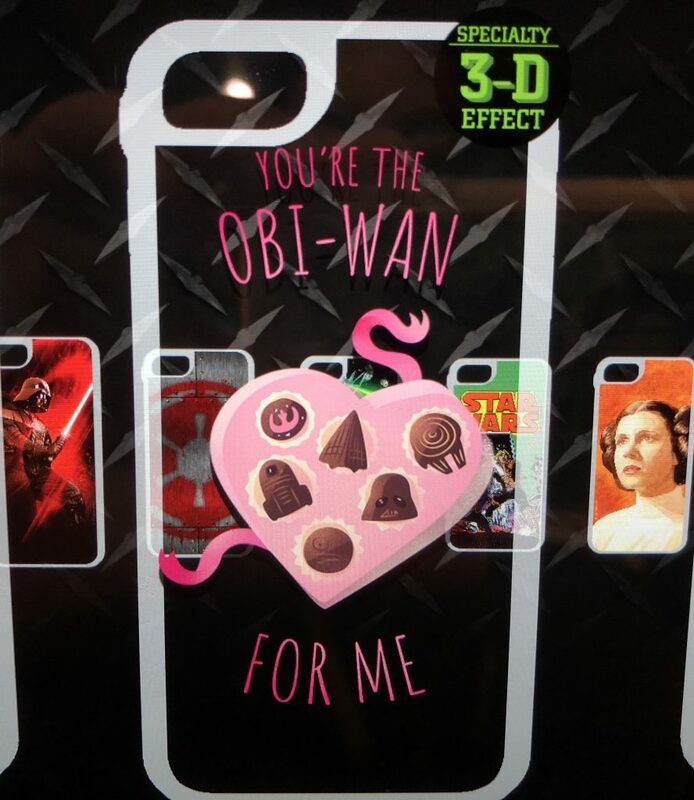 The first case we found is a 3D case which retails for $34.99 and features the phrase “You’re the Obi-Wan For Me”. 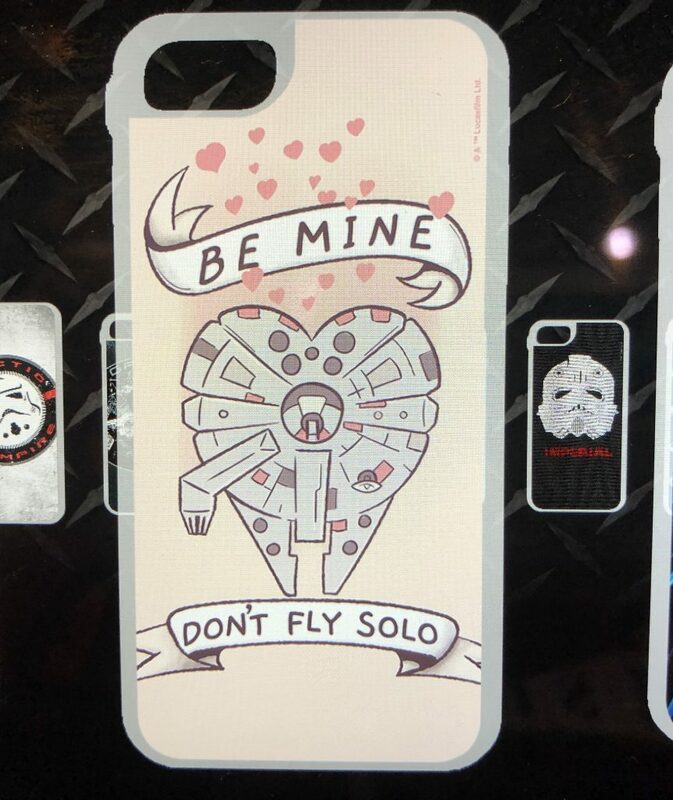 The second case is priced at $29.99 and says “Be Mine Don’t Fly Solo”.